All stretches described below are available for purchase as a bundle for $69.99 in the Stretch Your Horse App. That's a 20% savings over individual purchases. Individual videos cost $3.99 each. Search Stretch Your Horse in the Google Play or Apple App store to preview and download the App. Note: The #s below refer to the stretch numbers in the App. Learn the top 10 critical "Must Dos" to safely and effectively stretch your horse to obtain so your horse gets the maximum value from each stretch. This is a great stretch for the pectoral muscles in the chest and "armpit" areas as well as the extensor muscles that run down the front of the horse's leg. 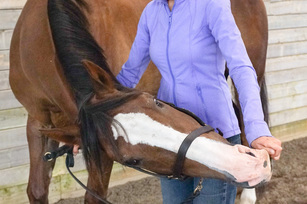 Learn the secrets to safely and successfully use treats to stretch your horse. This stretch is great for the pelvis and sacroiliac (SI) as well as the tensor fasciae latae, illiacus, superficial and medial gluteals and the oblique muscles. This is a great stretch for the trapezius, longissimus dorsi, latissimus dorsi, and the intercostal muscles. This is an excellent stretch for almost all of the muscles on the horse's topline including the longissimus dorsi and latissimus dorsi, as well as the gluteals, trapezius thoracis and even some of the muscles in the neck. In addition to the muscles stretched in the standard Anterior Bent Front Leg stretch, this stretch provides excellent release for the pectoral muscles as well as many muscles in the neck including the scalenus, splenius and multifidus cervicis. This is a wonderful stretch for many muscles located in the leg, chest, and bottom (distal) area of the shoulder including the pectorals, flexor carpi radialis, biceps brachii and brachialis muscles. This is an excellent stretch for the intercostal muscles on the horse's barrel as well some of the neck muscles including the serratus, scalenus, splenius and brachiocephalicus. This is an excellent stretch for many muscles of the neck including the brachiocephalicus, splenius and serratus ventralis cervicis as well as the intercostal muscles. 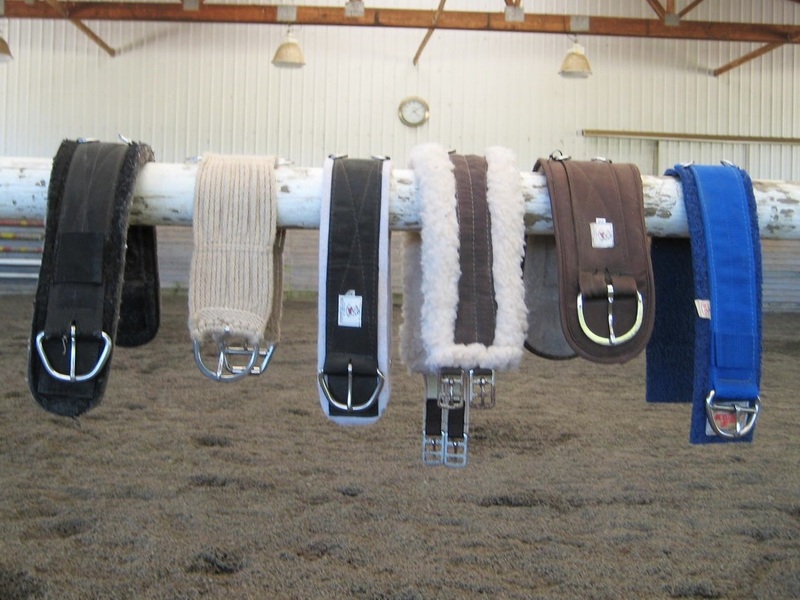 ﻿﻿﻿All cinches are not created equally! Learn the key differences among cinches, how to test your cinch to help ensure your horse's comfort and safety, and learn a massage move to help alleviate cinchyness. All girths are not created equally! Learn the key differences among girths, how to test your girth to help ensure your horse's comfort and safety, and learn a massage move to help alleviate girthyness.